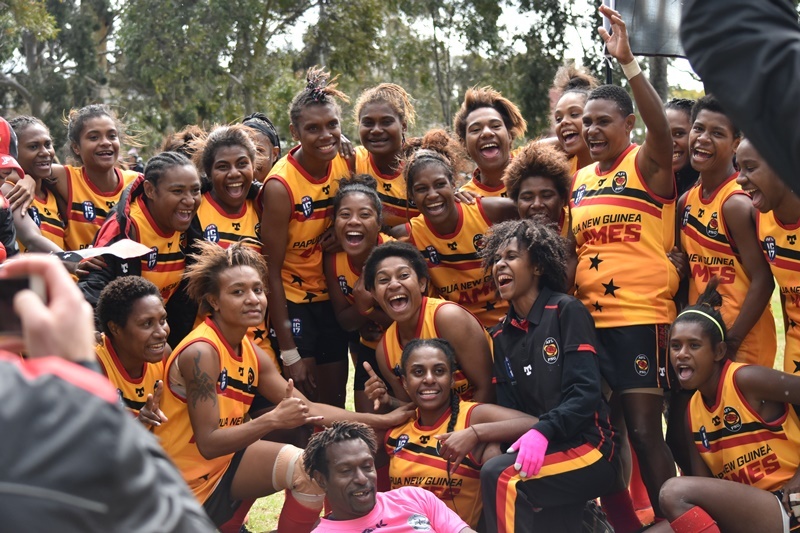 It was a cold windy winter's morning in Melbourne for the Women’s clash between Fiji Vonu and Papua New Guinea Flames at Royal Park – McAlister Oval. The winner would claim 5th spot and the loser 6th spot in the IC17 Women's Division. The first term was tight and scrappy with neither team able to gain clear possession in the centre. 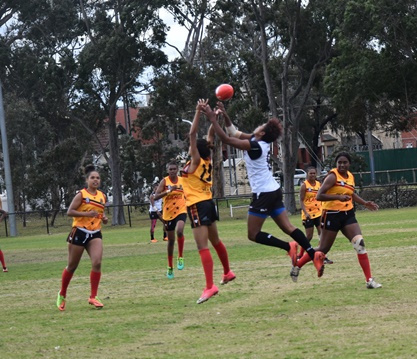 It wasn't until halfway through the first that Fiji Vonu was able to get on top in the centre over the Flames. Fiji Vonu had lots of inside 50s towards the end of the first, but the Flames defence held up well with great interception marks in their defensive 50. 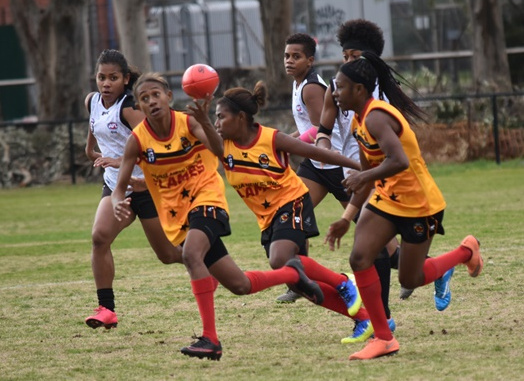 Both teams were goalless at quarter time with Vonu the only team able to score, managing two points and keep the Flames scoreless. Given the extreme pressure Fiji has exerted even on the top teams this was no surprise. 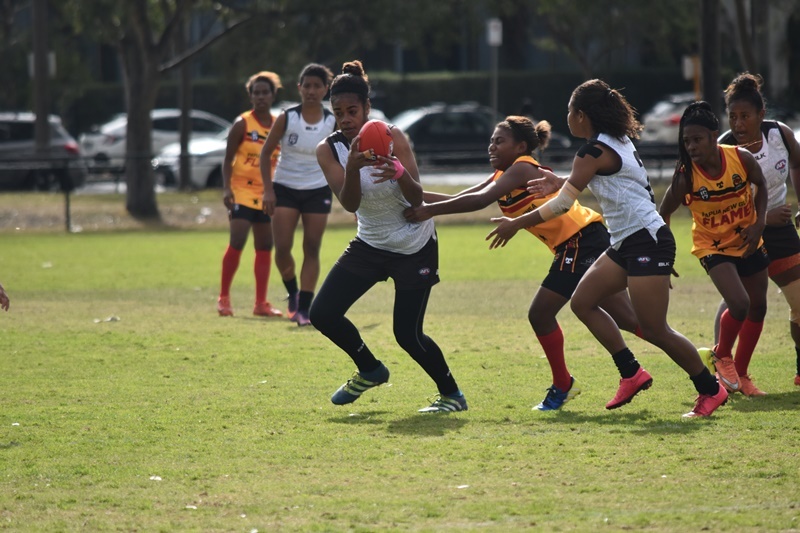 The attack on the ball in the second term was ferocious from both teams, but Vonu looked to be the stronger team. Both teams made it hard for their opposition to score goals, as neither team dropped off their pressure and intensity from the first. In the second, Vonu had the footy in their forward half for most of the quarter, but they were unable to make the most of their opportunities when they went inside their attacking 50, as their ball use let them down. Illiseva Ratudina took a strong diving mark, but as she took the mark she hurt herself in the process and she was on the ground and hardly moved. The trainer brought her to the bench where the AFL First Aid Official assessed her as she had lost consciousness on the ground. So the AFL First Aid Official took Illiseva Ratudina to the doctor for a concussion test to see if she was ok to go back on the ground and she did not play for the rest of the match. The ferocity and pressure level in and around the ball increased in the second. It was incredible to watch how both teams threw their bodies hard into each and every contest. Vonu tried extremely hard to score a goal in the second but they were unlucky with two behinds. The Flames were down by 4 points at half time and were still kept scoreless by Vonu. The third term continued to be a tight tussle between the two teams. Early in the third, the Flames finally slotted through their first goal of the match and you could see from their bench that they were relieved. Both teams were tackling incredibly well and the physicality of the match lifted and lots of players were coming off second best in the contest. A fight erupted between the two teams halfway through the third and Matelita Tuilevuka came to the bench holding her nose. It was great to see how both teams threw everything at this match and gave it their all. Miriam Agita went to ground with what looked like concussion after a hard knock and the clock stopped and she was slow to get up. 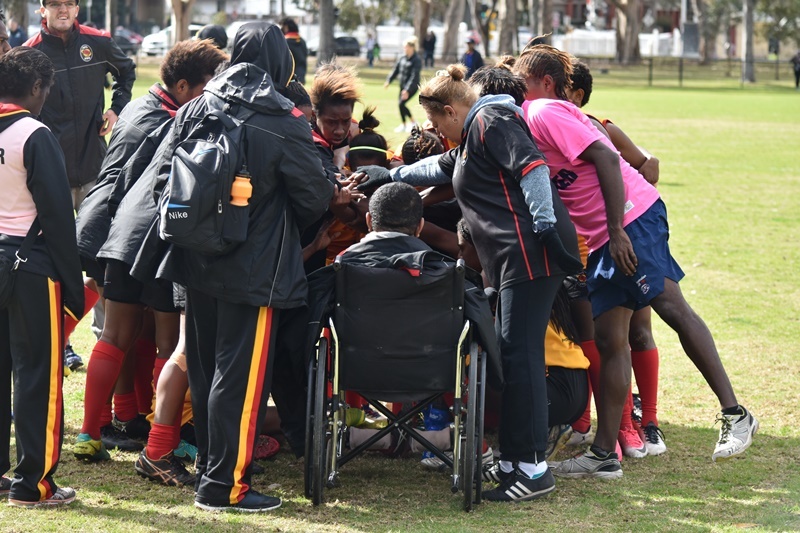 The trainer and AFL Official First Aid helped Miriam Agita to the bench and assessed her, but she was ok as she sat on the bench. Both teams fierce attacking on the ball will result in the majority of the players being extremely sore after the match. Towards the end of the third, another Flames player went down behind play after another hard contest where she was slow to get up. The stretcher ran onto the ground immediately and play was stopped once again and the Flames player was stretchered off. Miriam Agita and her coach were in tears on the bench after they saw their player being stretchered off, it was sad to see. Play continued and again a player was tackled, but this time a Fiji Vonu player came off second best, but she was ok just a bit sore. The third term ended as a tight tussle with both teams finding it difficult to score a goal. Vonu had a narrow lead of 5 points going into the final term against the Flames. The final quarter was tight once again and Vonu’s bench was very vocal from the onset of the last. Early in the final term, Jenifer Goodsir came off with the blood rule to the bench. Vonu were able to score the first goal of the last and were beginning to break away from the Flames on the scoreboard. 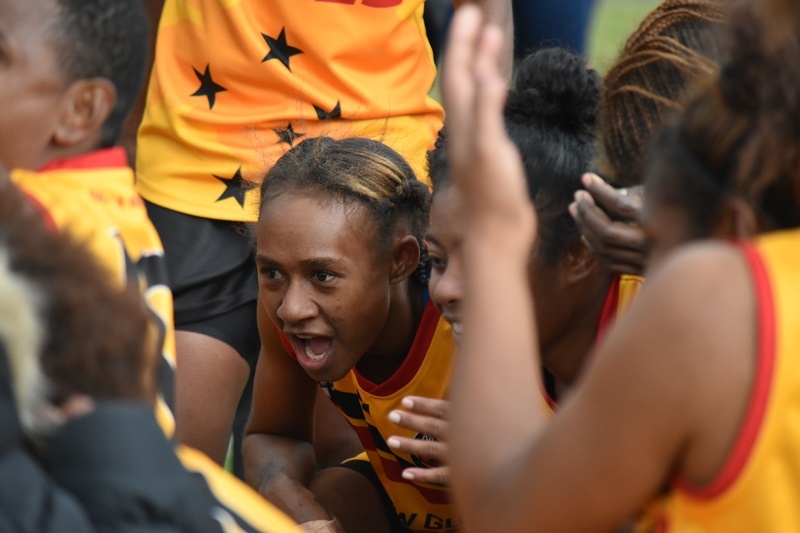 Another Vonu’s player came to the bench and this time it was their ruckmen Verenaisi Caginavanua who was knocked heavily to the ground and she was in the hands of the trainers. The Vonu players were dropping like flies, but their will and never say die attitude was admirable to watch, as they kicked another goal. 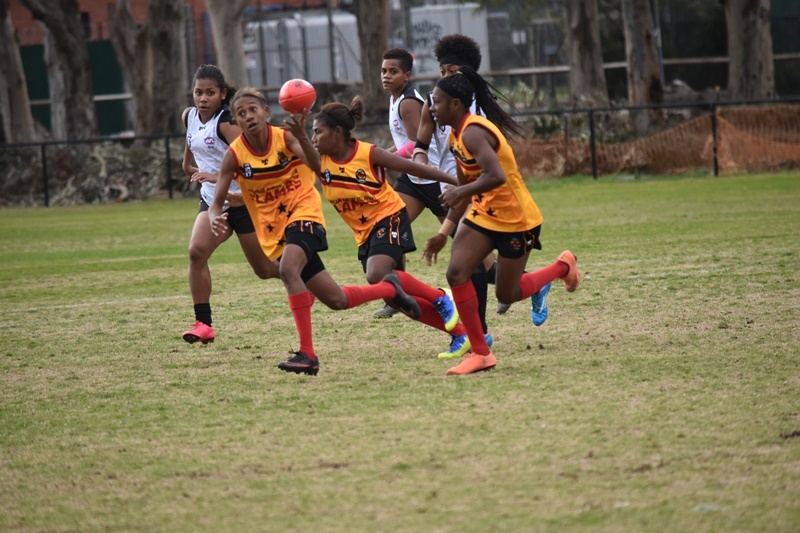 The last quarter showed how even though it was very even that Vonu was able to capitalise on their limited opportunities when kicking at goal. Another Vonu player was down but was able to back to her feet and continued to play. The AFL First Aid Official was working over time with lots of players from both teams hurting themselves. Towards the end of the match, you could see all the players from both teams extremely sore and walking gingerly. Valerie Mai injured her right chin and straightaway when she came to the bench her chin was wrapped up in ice. 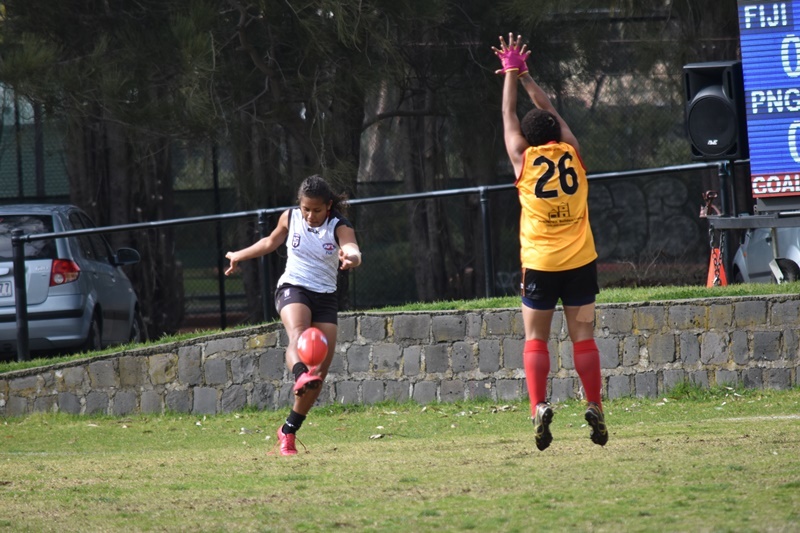 It began to drizzle late in the last and Vonu stepped up their intensity and pressure and as a result were able to boot through two more goals. 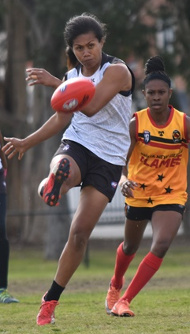 Vonu ended up kicking three goals to the Flames nothing in the last quarter and they were victors by 30 points. The first three quarters of the match were so close and even between the two teams with less than 5 points separating each of the teams. 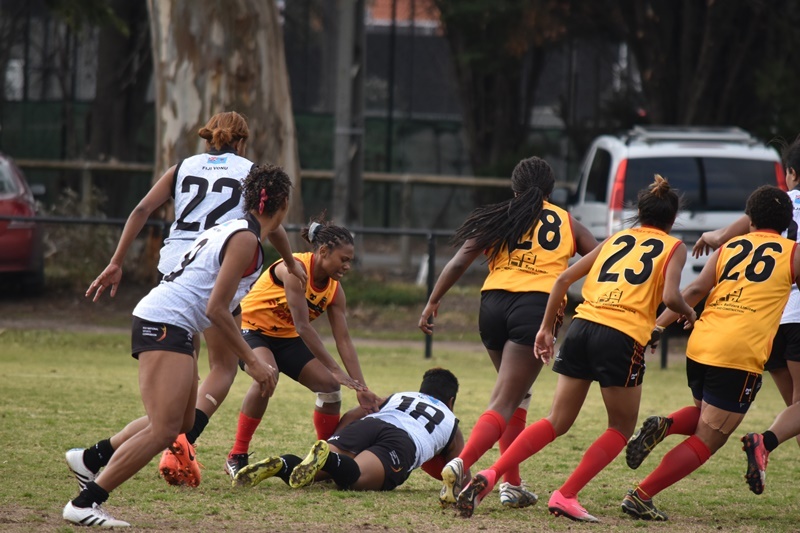 Perhaps 5 matches in less than 2 weeks and Fiji's fierce tackling finally told on the smaller PNG players, as in the last term the Vonu were finally able to get on top in the contest and string four goals together to come away with the win over the Flames.